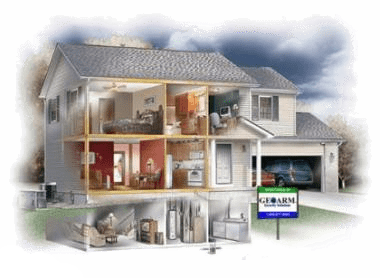 After the security system is installed at your new Alabama address, a GEOARM certified technician will then assist you in testing the alarm control panel programming to ensure that alarm signals are being sent and received successfully at our central station. The below form provides our central station operators the information we need for performing our emergency alarm dispatch services at your new Alabama address. Specifically, the move program form asks for your zone information, emergency contacts, and emergency response call list numbers. For all homes or businesses that have an insurance premium, please also resubmit the certificate of alarm form online. Once received we will update the alarm monitoring certificate, so that you can continue to receive your property insurance discount at your new Alabama home or business.